» Bachata Dancing archive at Ritmo Bello – San Diego Salsa Dancing - A San Diego, California guide to salsa, merengue, cha cha cha, samba, tango, and all other forms of Latin dance! 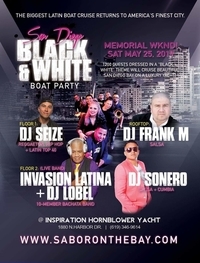 The original and largest Latin boat party is returning to San Diego May 25th courtesy of our friends at Sabor on the Bay. The 3 hour cruise will feature multi-level entertainment including salsa dancing on the rooftop, Latin top 40 and the feature attraction of a live bachata band, Grupo Invasion Latina. This year the theme is changed a little in that attendees are asked to wear a combination of black and white clothing to add to the spirit of the festivities. The Sabor on the Bay Yacht parties always sell out. The event is May 25th, 2019 but you should secure your tickets now in order to not be left at the dock. 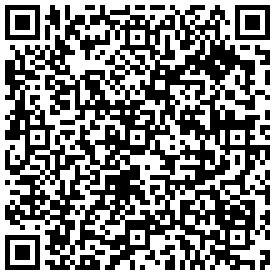 You can find more information on how to purchase tickets at the Sabor on the Bay website. 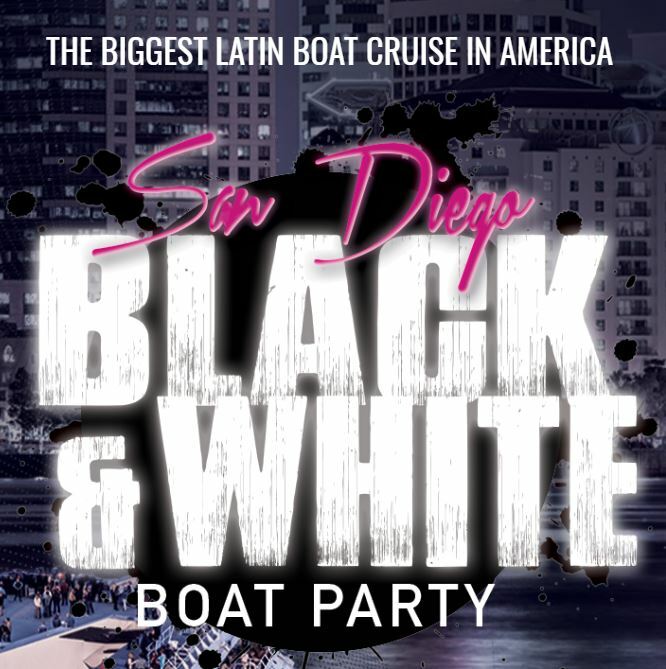 See you all at the 2019 Sabor on the Bay Black and White Boat Party! Our friends at Sabor on the Bay will be hosting a cool Red and Black themed Holiday Ball November 21st. Sabor on the Bay, known nationwide for their popular salsa themed yacht parties, will be shifting gears for this event to the mainland. The ball will be held at the Sunset Temple in North Park and will feature 2 rooms of salsa and bachata music so you can dance the night away. Don’t forget to get with the theme and wear your best red and black attire. For more information on the upcoming event and to secure tickets please visit the Sabor on the Bay website. 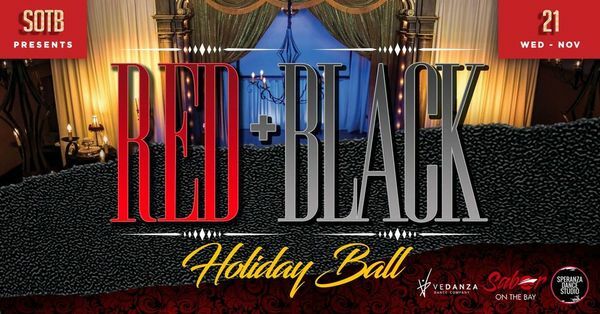 See you all at the Sabor on the Bay Red and Black Themed Holiday Ball! 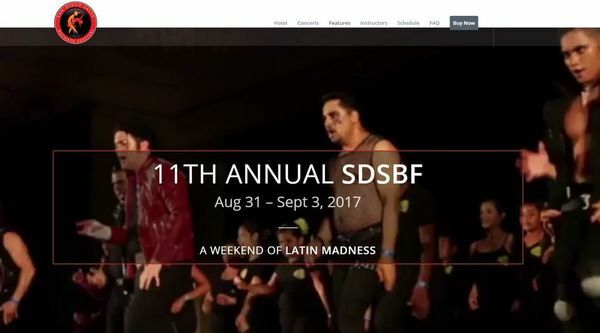 The San Diego Salsa and Bachata Festival is fast approaching and you will soon have an opportunity to immerse yourself in a full weekend of dancing come Labor Day weekend. As you can see there will be plenty to do, hear and see from Friday through Sunday night. If you haven’t purchased your tickets (and booked your rooms if you are from out of town) there are still some available. The event always sells out so don’t be left out! 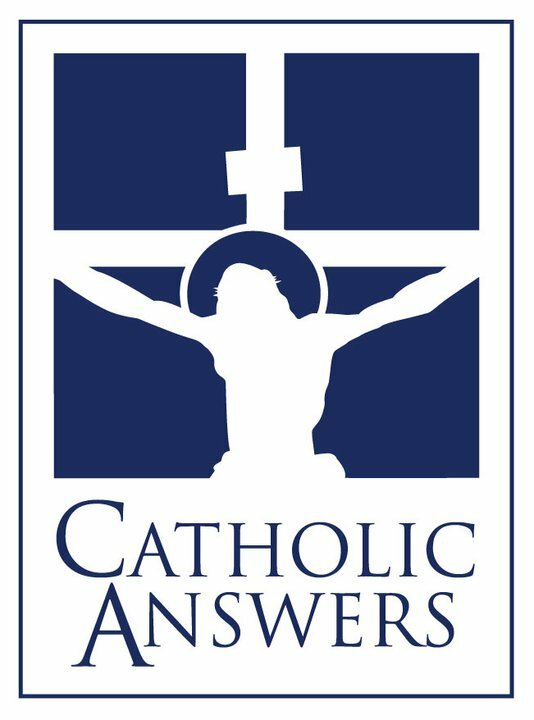 You can find out more information here. I’ll try to post some more information as the event draws closer. 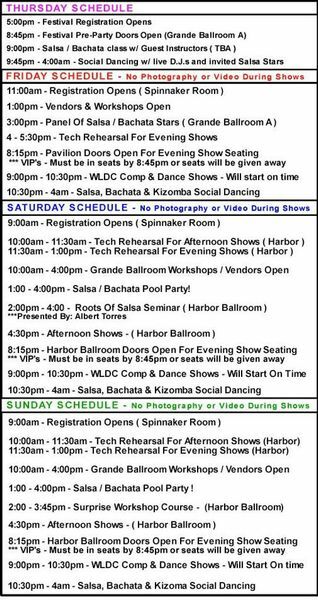 See you all that the 11th Annual San Diego Salsa Bachata Festival! Summer is here and although it’s just begun it isn’t too early to plan for the upcoming San Diego Salsa Bachata Festival. The event this year is moved back to Labor Day weekend and will give you an opportunity to enjoy an epic weekend of salsa and bachata dancing. Along with the social dancing, the event is known for its great series of dance shows and workshops where you can learn new steps and improve on your existing dance skills. Live bands will be playing throughout the weekend along with a host of DJ’s to keep your feet moving. Tickets are on sale now for hotel and passes to take part in all the great activities offered. 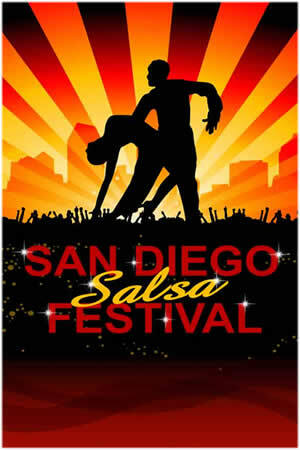 You can find out more information on the San Diego Salsa Bachata Festival on the official website. See you all at the San Diego Salsa Bachata Festival! The 10th Annual San Diego Salsa Bachata Kizomba Festival is coming up fast. The event which traditionally has been during the summer/fall is now set for a new time Thanksgiving weekend. 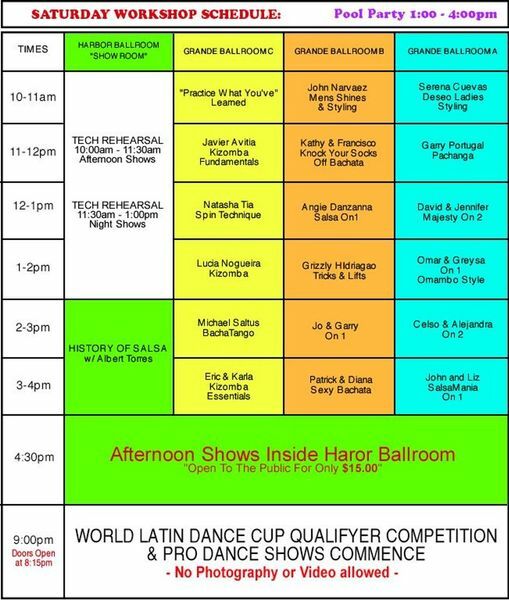 For those of you unfamiliar with the event, the Festival is a great opportunity to be immersed for an entire weekend in the world of Latin dance here in San Diego. Between dance shows, live music, dance seminars and workshops the event will allow those new to Latin dancing a comprehensive introduction to it all. Tickets are still on sale as we speak and there are hotel rooms still available so make sure visit the San Diego Salsa Bachata Kizomba Festival website for more information. 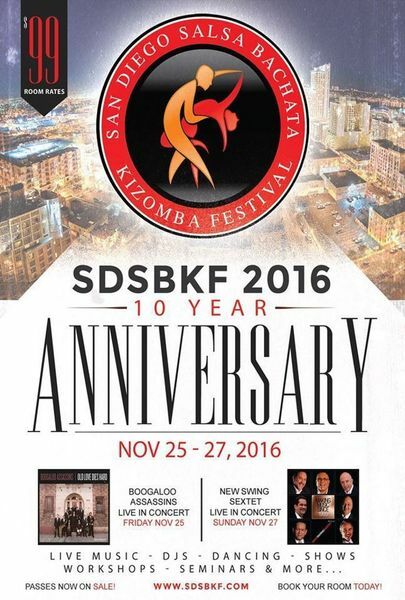 See you all at the 10th Annual San Diego Salsa Bachata Kizomba Festival! 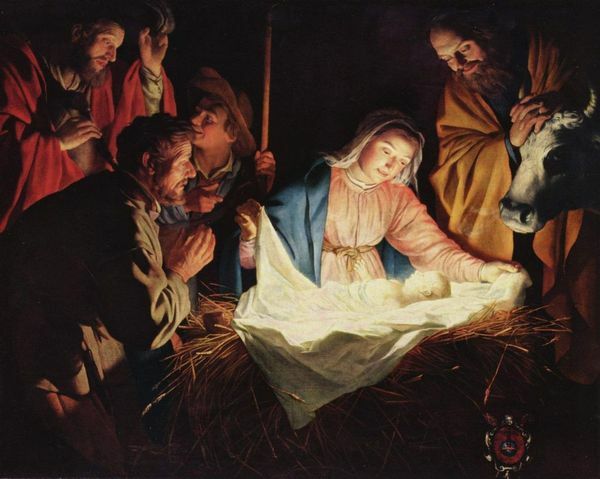 From all of us at RitmoBello.com we wish you all a Merry Christmas and Happy New Year! We hope to see you all in 2016 and share some great times dancing in the new year. 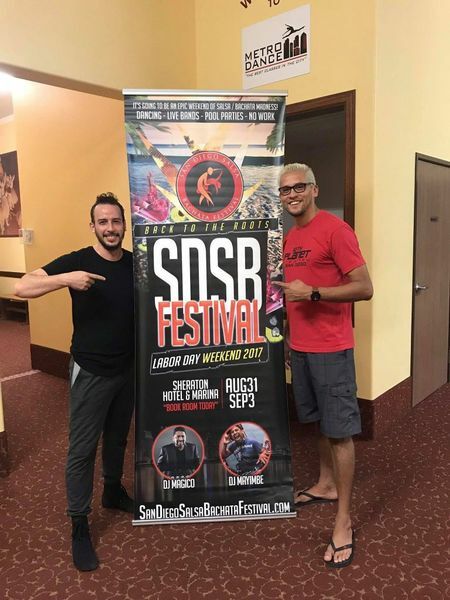 It’s time again for the upcoming San Diego Salsa Bachata Kizomba Festival and if you plan on taking part in any of the festivities you will want to know when things will be happening. 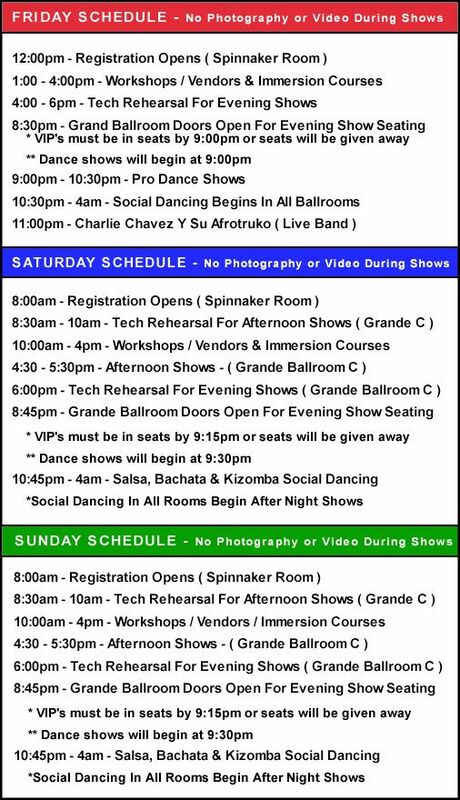 Below is the overall master schedule of events and the individual workshop schedules for Friday and Saturday. 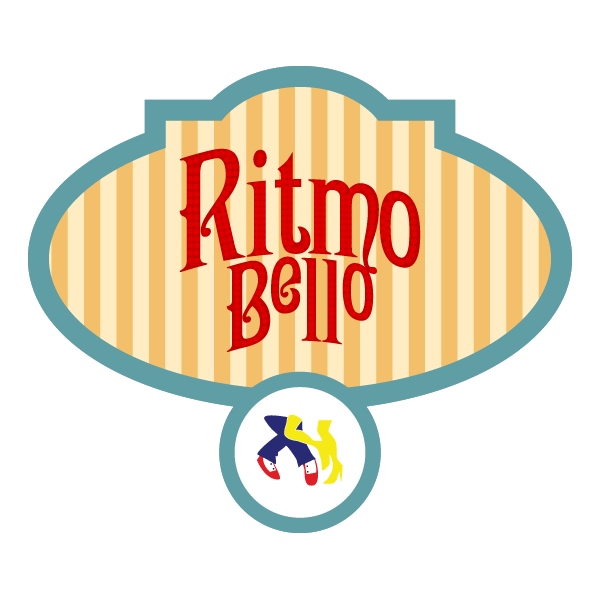 Keep coming back to RitmoBello.com for further updates as the festival nears the Labor Day Weekend. 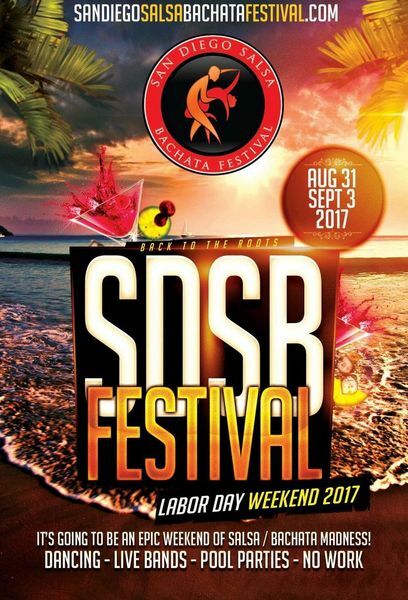 See you all at the 9th Annual San Diego Salsa Bachata Kizomba Festival!